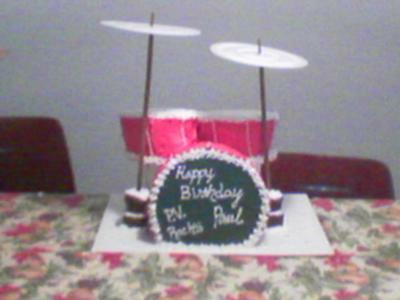 I made this drum set cake a few years ago for an old friend. I used 8 inch rounds on their sides, and cupcakes for cymbal stands, and I cut smaller drums out of cake. I used paper plates and skewers for the symbols.